Automatically tosses a ball every 5 seconds. Get hundreds of swings in less than half an hour. 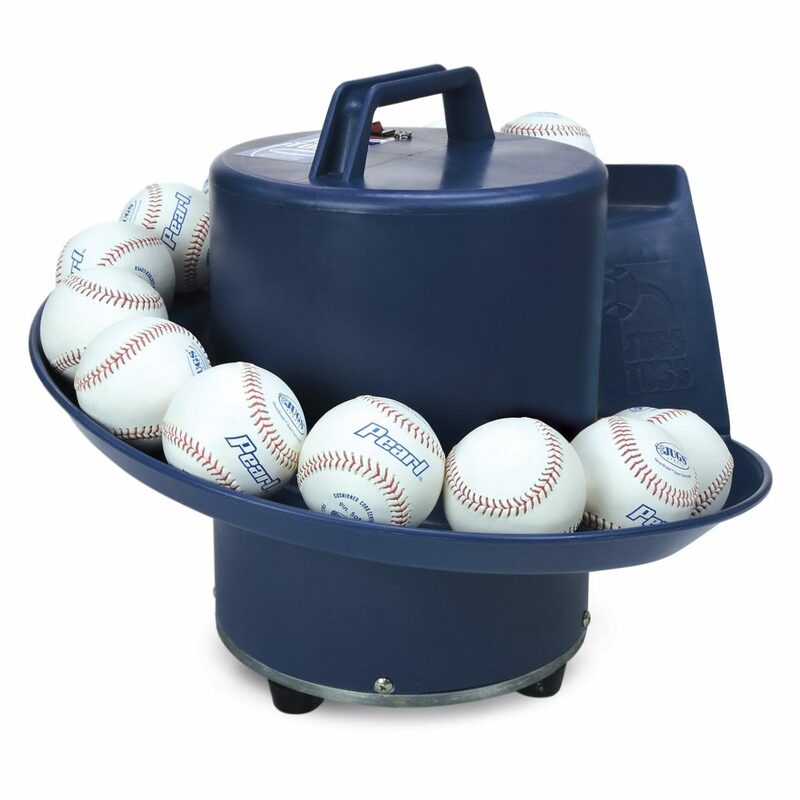 Tosses 11″ or 12″ softballs, baseballs, JUGS Pearl, JUGS Sting-Free balls, JUGS Lite-Flite balls, JUGS Softie balls and the JUGS Bulldog polyballs. Comes with FREE 24-page Toss Machine Drill Book and Throw-Down Home Plate.